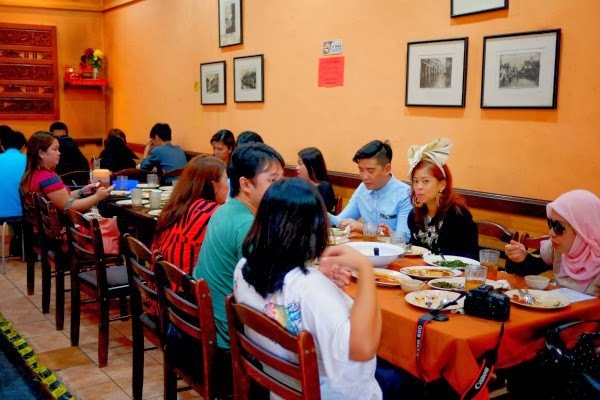 After we landed in Kuala Lumpur, our itinerary led us straight to Restoran Muar at Tengkat Tong Shin for lunch, a place for the best home-cooked Malaysian cuisine right in the heart of KL. And since it's my first time in Malaysia, I was very excited to try their food. 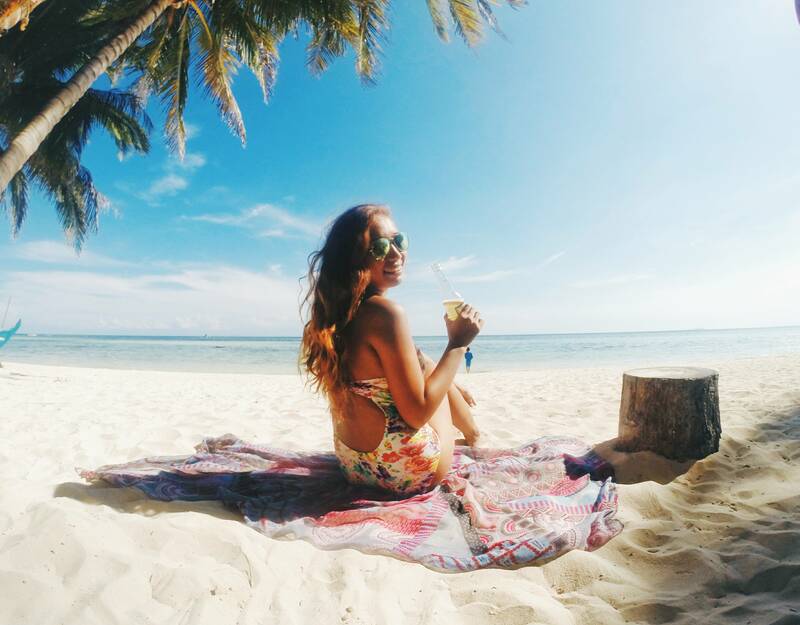 People said that in order to fully experience each country's culture, you should devour its food. Which I totally agree with. 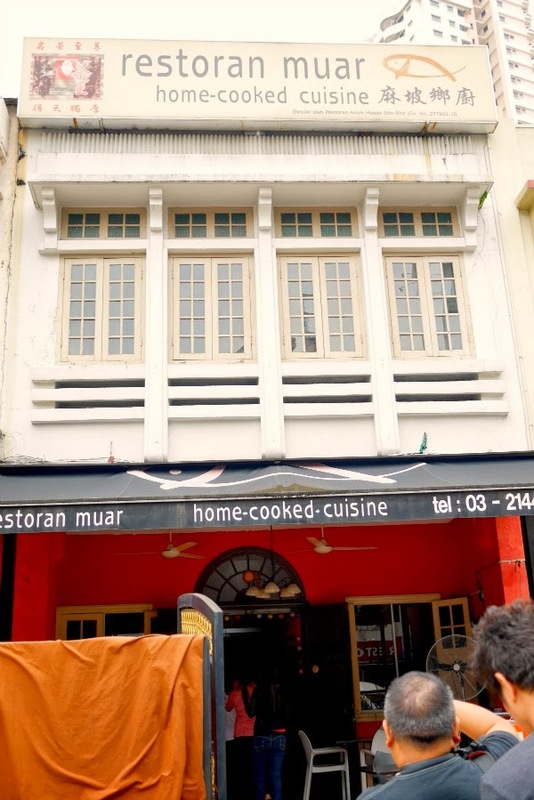 Restoran Muar is located just behind Jalan Alor, the famous spot for street foods. Can you guess what is this? 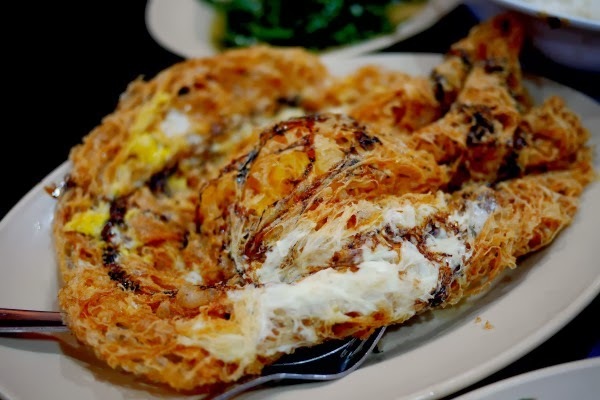 Not a cake nor a crepe, it's actually a Crispy Fried Egg (7RM). I'm really amazed by how they cooked it, and it's really yummy! 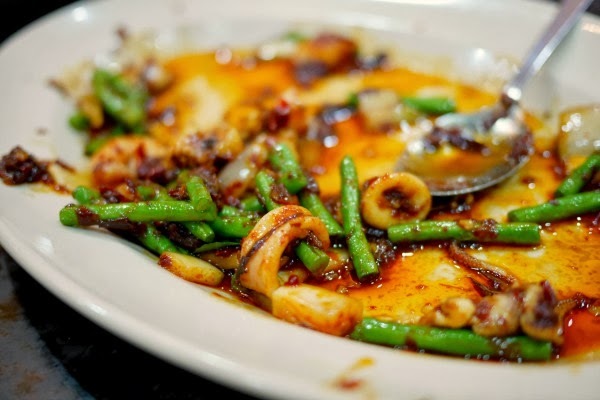 The French Bean Squid and Prawn (16RM) is on the top of my list. I guess it's everybody's favorite, too. Look, it's almost finished seconds after it landed on our table, tee-hee! 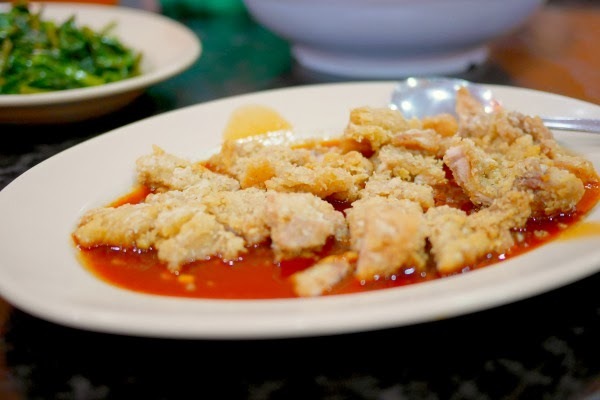 Their Dried Chili Fish is also something. I'm really loving their foods! One thing I like most about Malaysian foods is that you can really taste the spices. Before flying to Malaysia, I was a bit worried yet excited to try their food. I thought I'll be starving for a couple of days but I was wrong. 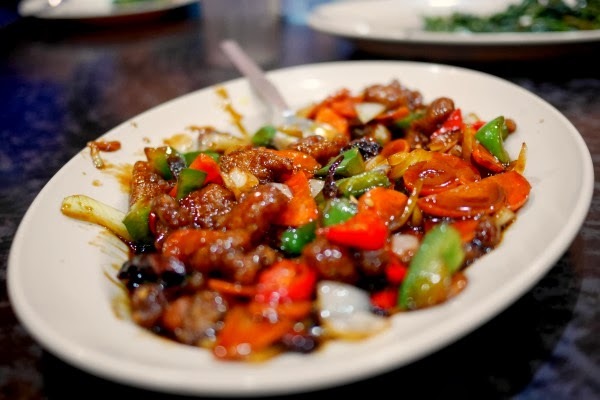 This Chicken in Barbecue Sauce is the bomb! The interior design was not that grand however the food compensates it all. 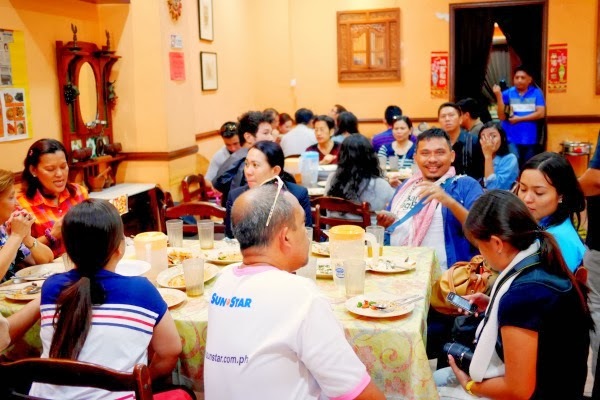 Again, it's a home-cooked restaurant thus the home-like ambiance. Here are some of the media, travel agents and bloggers enjoying the lunch. This dish called Butter Kailan (12RM) has tickled my taste buds. 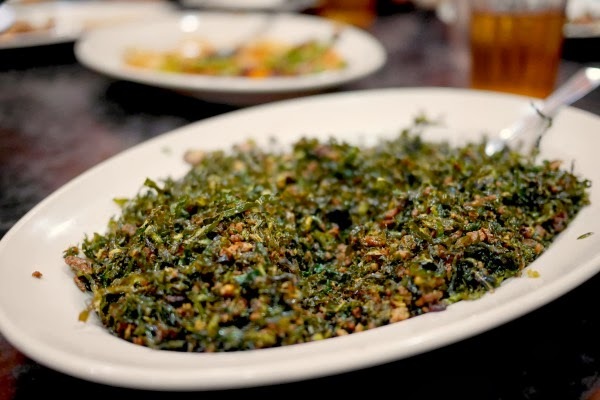 This is a deep-fried Kailan aka Chinese Broccoli or Chinese Kale with butter and sugar. It's crunchy and really tastes good, too. 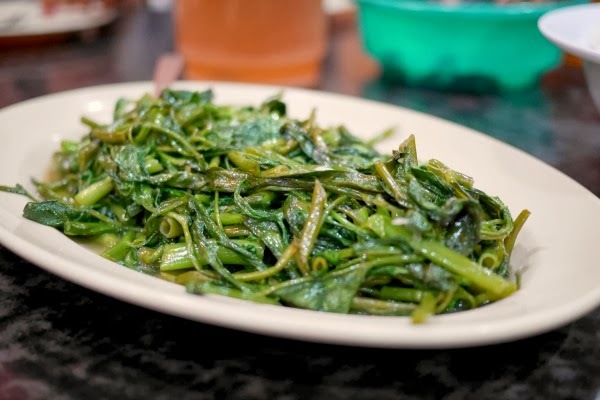 We also had Garlic Kangkong, Malaysian style! 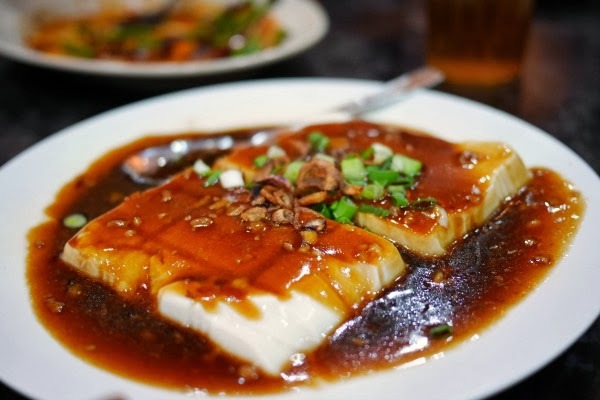 Last but not the least is the Steamed Bean Curd. I'm not that fan of tofu so I did not bother tasting this one. 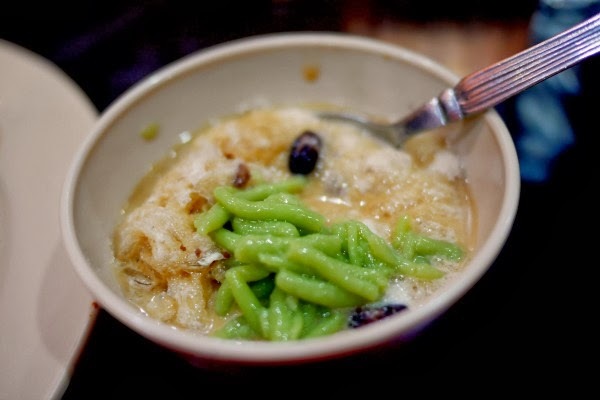 And for dessert, we had Cendol, a traditional dessert and also popular in Indonesia, Myanmar, Vietnam, Singapore and Thailand. It tastes like taho and the shaved ice was really delighting. It has red beans with Gula Melaka aka palm sugar for just 1RM. I actually miss this one! Sorry for not capturing the menu but I swear all the dishes we had were really good! 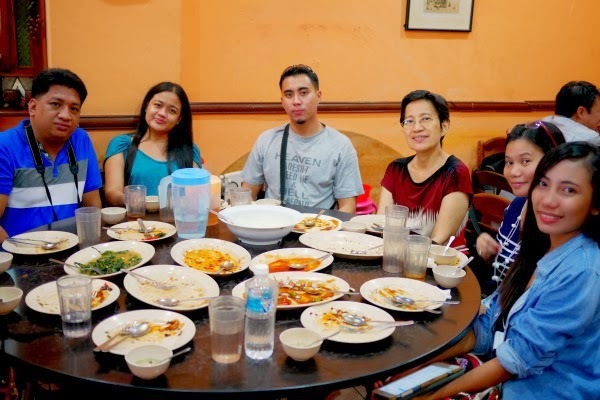 So yeah, my first gastronomic adventure in Malaysia was so great! Click for Google Maps .